One of the great features of homesteading is upcycling of items for new purposes. 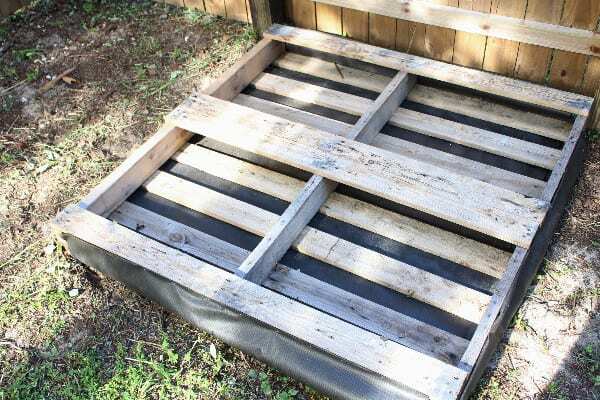 One of my favorite upcycle ideas is to turn an old unused pallet into a garden bed. They are a really cheap way to build a bed- they can usually be picked up for free or just a couple dollars. Besides the frugal side of it the wood in combination with some landscape fabric is a very effective weed control and makes for a tidy bed. 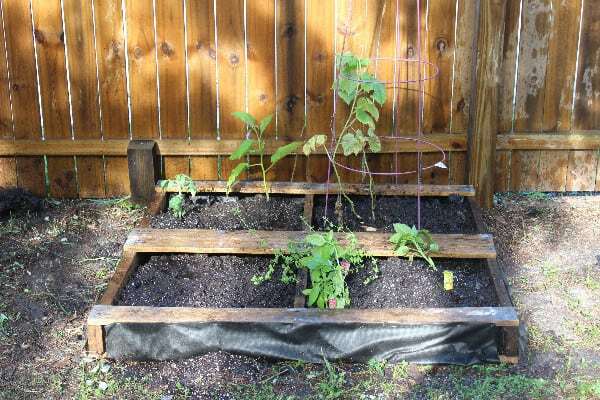 If you have a pallet or two laying around you may want to consider turning it into a vegetable or herb garden. 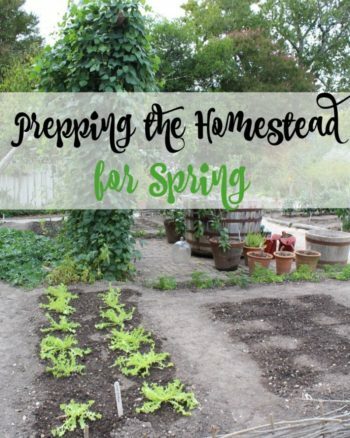 There is some debate over whether using pallets is safe for growing food, check out this article from Preparedness Mama on how to tell if a pallet is safe and use your own best judgement. 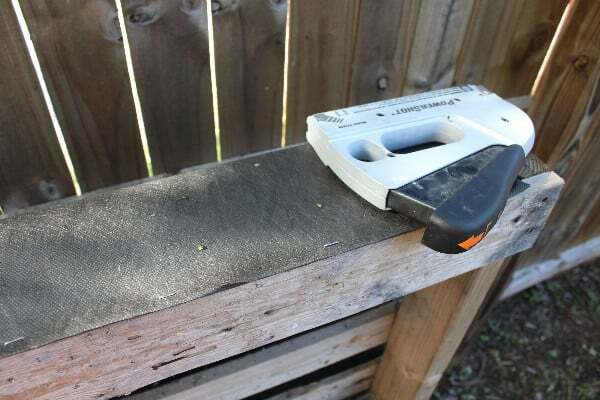 Flip your pallet so the side with the least amount of wood (normally the bottom) is up. Cover the bottom and sides with landscape fabric and secure with staples. 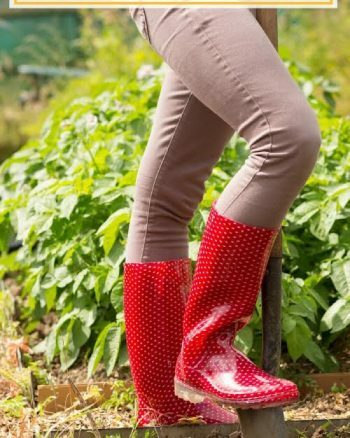 Be generous with your staples, you want the fabric secure so the soil stays in. Flip pallet over so that the landscape fabric is facing down. 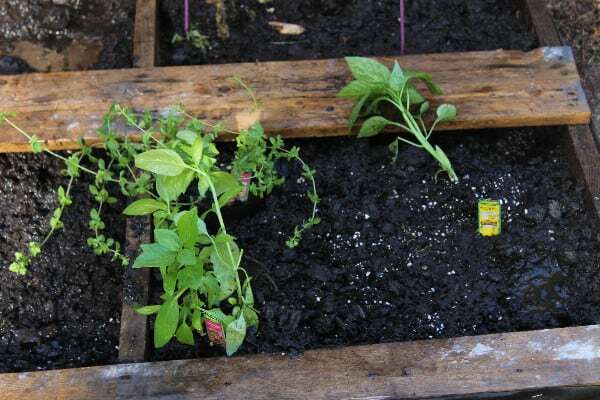 If your pallet had a nearly solid top and bottom you may want to remove a few boards from the side you will be planting in to give you more room to work. Also, you may wish to sand any particularly rough area on the pallet well to avoid splinters or snagged clothing. Go ahead and place pallet where you want it before filling as it will be too heavy to move around. 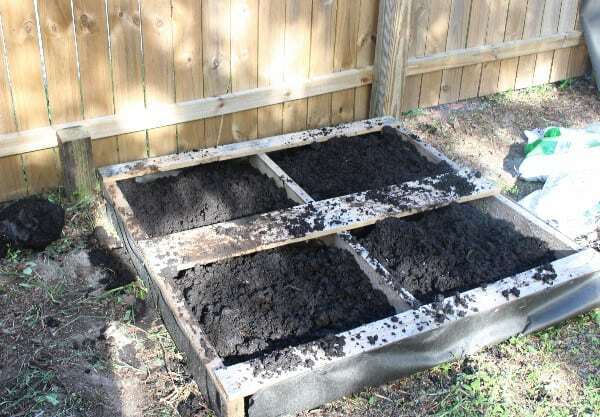 Fill pallet a couple inches from the top with good quality soil. Plant your seedlings or seeds. That’s it, you can make as many pallet beds as you wish. 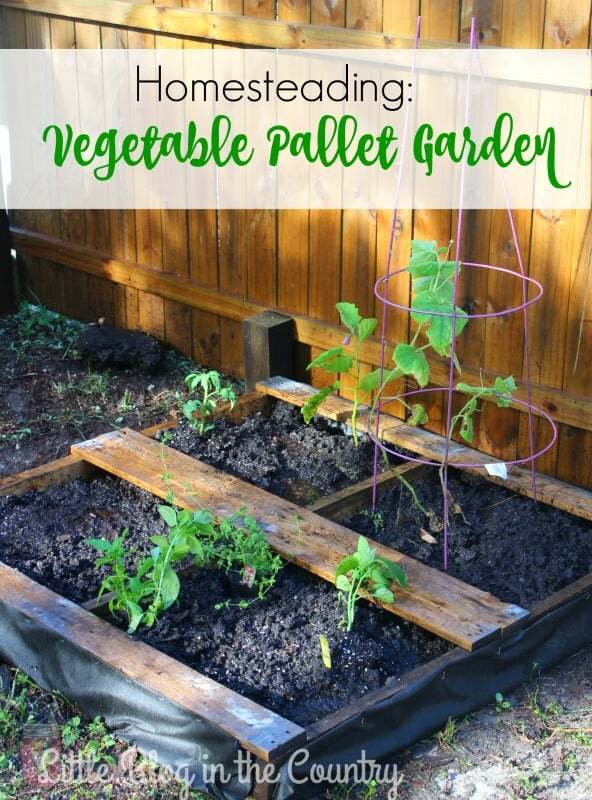 What types of vegetables do well in a pallet garden? Bell peppers, eggplant, cabbage, spinach, and squash as well as vertical growing plants like beans, peas, and cucumbers. Avoid root vegetables like carrots that have deep root systems as they will not thrive in a shallow pallet garden. 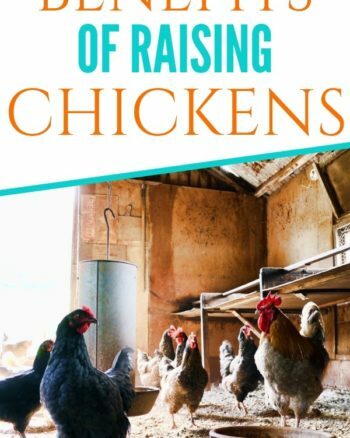 Looking for more Homesteading posts?